Sea Band is one of the most interesting products I have ever used. It is perfect for nausea, vomiting and the travel woes that come with motion sickness. During pregnancy your body goes through so many changes it is almost enough to drive you crazy. Sea Band can help! Their products are perfect to eliminate the nausea pregnancy causes. We like to stick with all natural remedies whenever possible. Their are so many harsh chemicals it seems like in everything anymore. Even most foods have chemicals. It is really scary to me as a mom. I try and protect my family as much as possible. 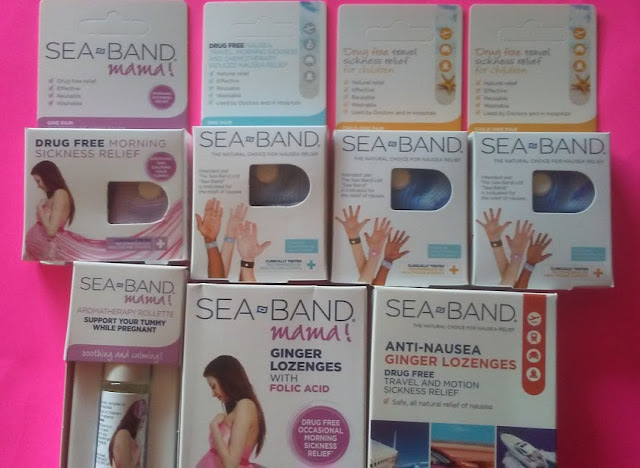 The best part about Sea Band is they are great for kids also and a completely safe wearable all natural remedy. My son can travel only short distances and never on curvy roads without becoming sick. He tries Sea Band and it worked great for him also. No nausea on a 2 hour road trip. For him that is a miracle. We are so satisfied with the results we have seen from Sea Band. Who in your family could use Sea Band?